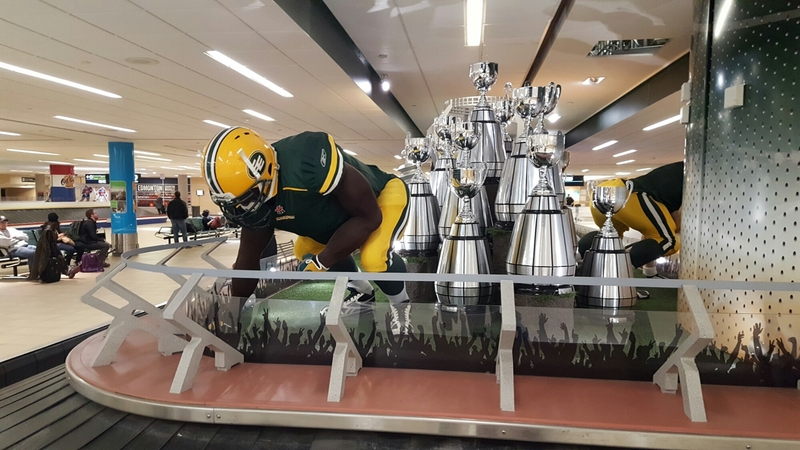 Respectively, they are displays celebrating the Edmonton Eskimos football club (and their many Grey Cup championships), the Edmonton Oil Kings junior hockey club (players from 15-20 years old), and the Edmonton Oilers hockey club. I think the semiotics of international arrivals lounge at an airports to be fascinating. In fact, in many ways, aiports as a whole tend to be “best of” samples of a destination, whether it be food or art or culture (passing through the Nashville airport en route to Edmonton last night included seeing several buskers playing country music, and many of the recorded airport announcements were done by country music stars. But, I digress…). However, the international arrivals in particular are the first impression travellers have of both the city and, often, the country. In any event, Edmonton has one of the best research universities in the world, a beautiful river valley park space and the Northern Lights through parts of the year, and is situated in a province with five UNESCO World Heritage sites – including the Canadian Rockies. And, yet, the sporting culture of the city trumped all of these. 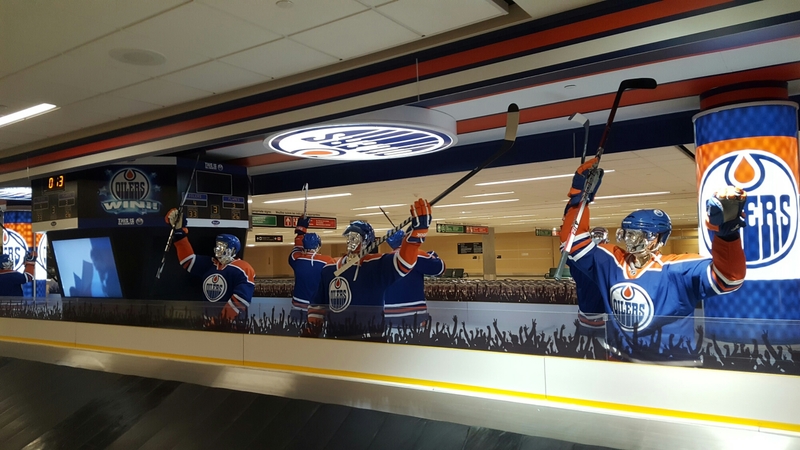 This is not, of course, to disparage these displays – as has been argued many times on this blog and elsewhere, sport culture and heritage can be strong place identifiers and promoters. 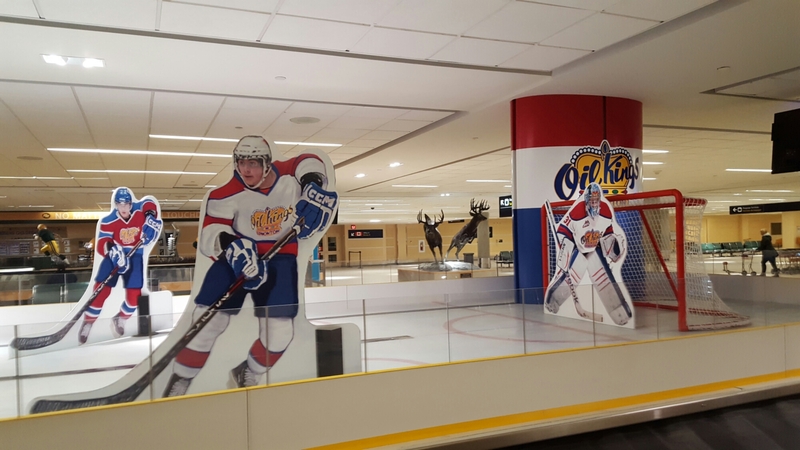 However, I think it was surprising that sport was given the entirety of the international arrivals space – trumpeting that THE defining cultural marker of the city is sport. By Gregory Ramshaw in Uncategorized on January 11, 2017 .